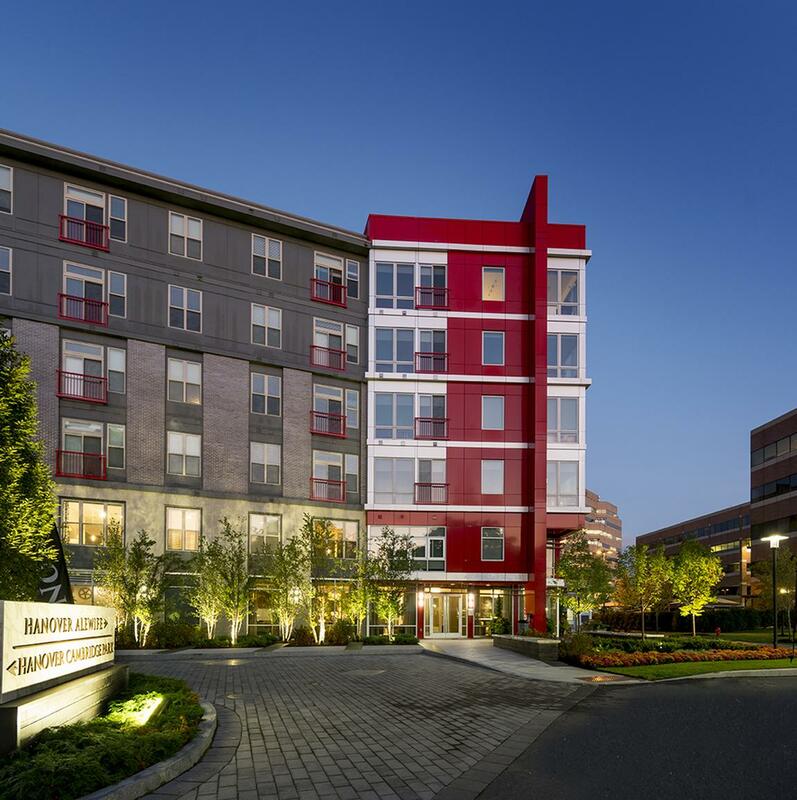 Hanover Alewife luxury apartments in Cambridge, Massachusetts feature ultra-luxe touches such as custom wooden cabinetry, stainless steel appliances, and granite/quartz countertops. 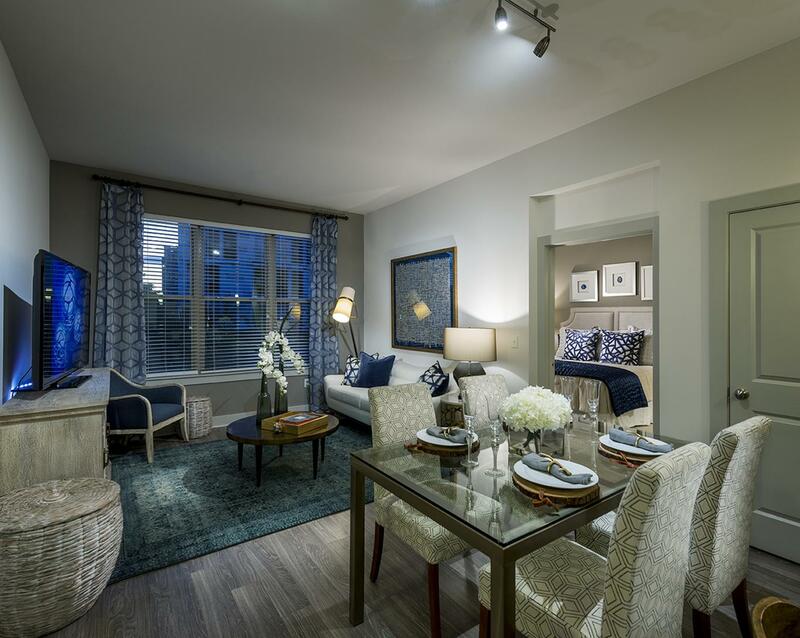 Our one, two, and three-bedroom apartments for rent offer abundant living spaces with soaring ceilings, unique accent walls, and spa-like bathrooms. 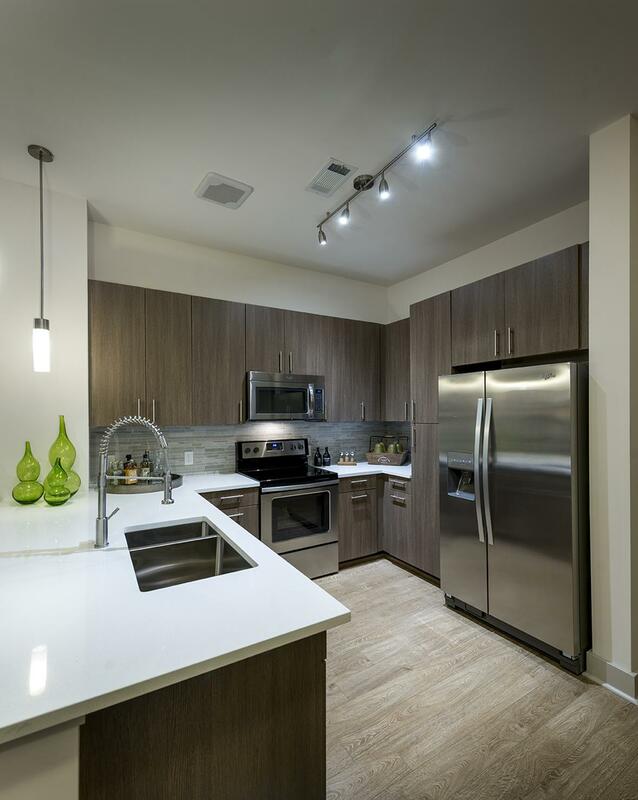 Residents enjoy exclusive use of our fully-equipped resident kitchen with billiards and lounge seating, on-site bike storage, state-of-the-art TechnoGym fitness center, refreshing pool, and designated outdoor grilling and dining areas. Dog Restrictions: Breeds not permitted are Staffordshire Bull Terriers, Dobermans, Rottweillers and Chow Chows, and any mixes thereof. Extra monthly fee applies for pets. Real-time transportation updates provided by TransitScreen. 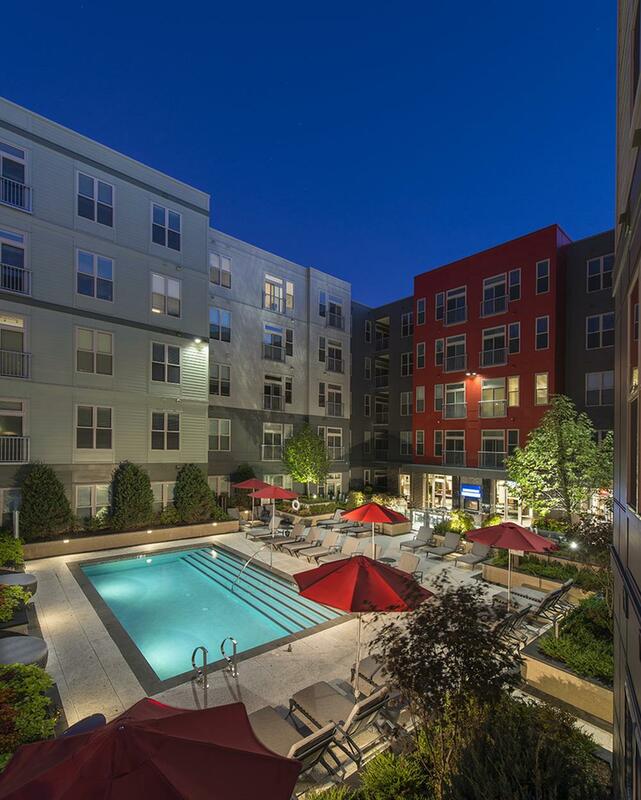 Fully-equipped residents' dual-level clubhouse. 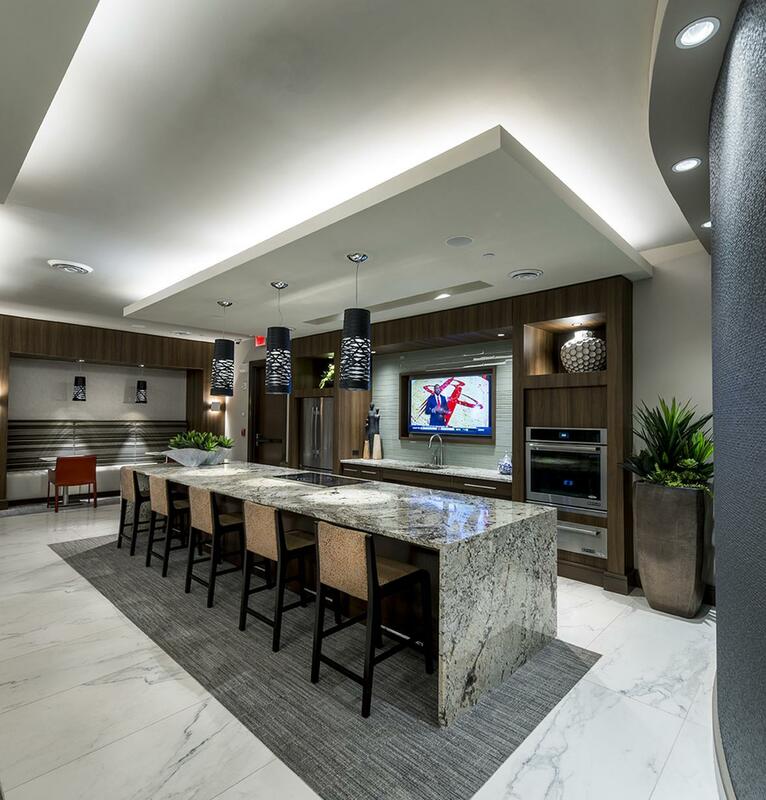 HDTV lounge with 60" TV iLounge with high-speed WiFi and iTouch stations. 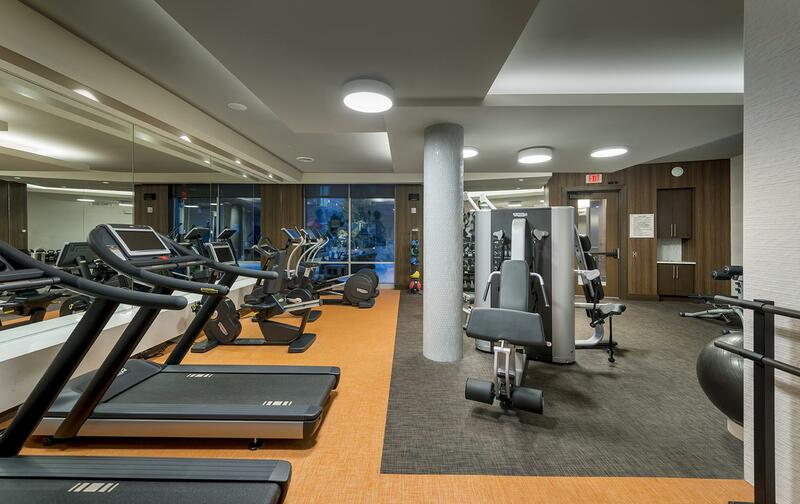 Executive conference room with 70" presentation TV 24/Hr Fitness center with tablet-integrated cardio machines & ballet barre. 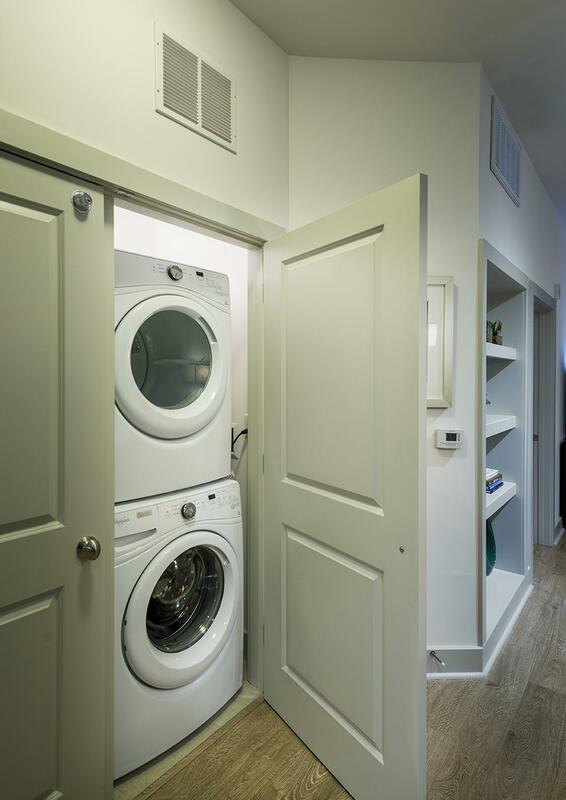 Resident pantry with breakfast bar and banquet seating. Billiards lounge with seating area and fireplace. Open-air dining porch and grilling stations. Expansive resort-style pool courtyard. 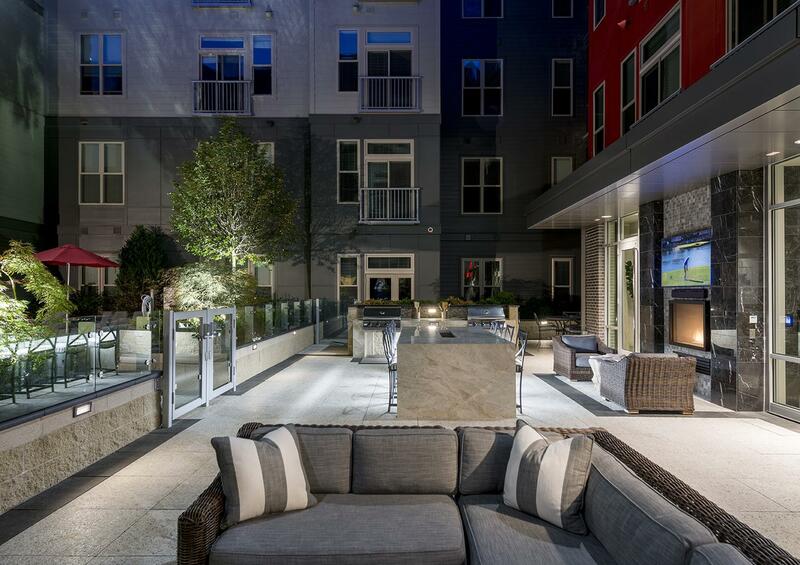 Two landscaped courtyards with dining and grilling stations. Designated bike storage room with fix-it station. Pet-friendly community.